Print4 is an end to end, total print management solution that helps you reduce costs and increase printing efficiency. Print4 provides all printer related supplies, parts, service, hardware and software, resulting in increased savings. Create efficiency while reducing your printer support costs by up to 30%. Managing a printer fleet is a resource drain for most organizations, and most companies do not know what they spend on their printing environment. Research suggests that print production and management can be as much as 3% of total revenues. When printers are down, employee productivity is down, information is not in the right place at the right time, and resources are spent on printer support, not growing the business. Rogue spending on printers affects budgets by using valuable resources to manage multiple vendors, purchase multiple products, manage service delivery and utilize help desk and IT support. 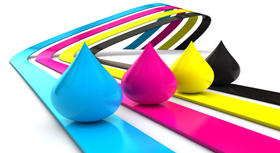 AES provides thousands of toner and imaging supply products. Please contact us to find out if we carry your product.